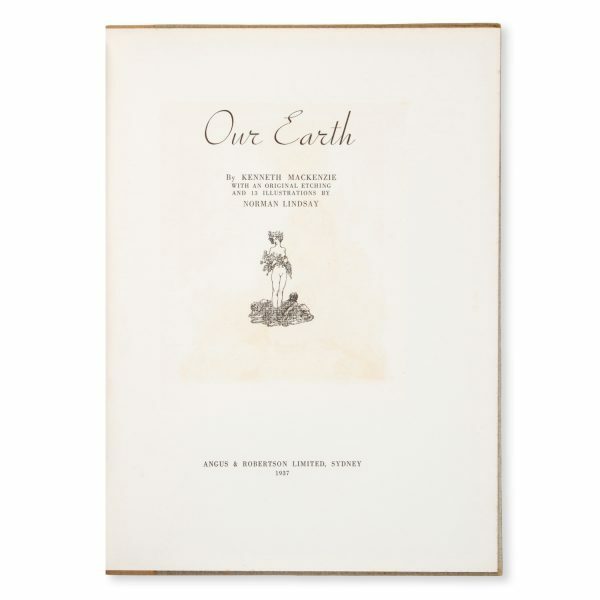 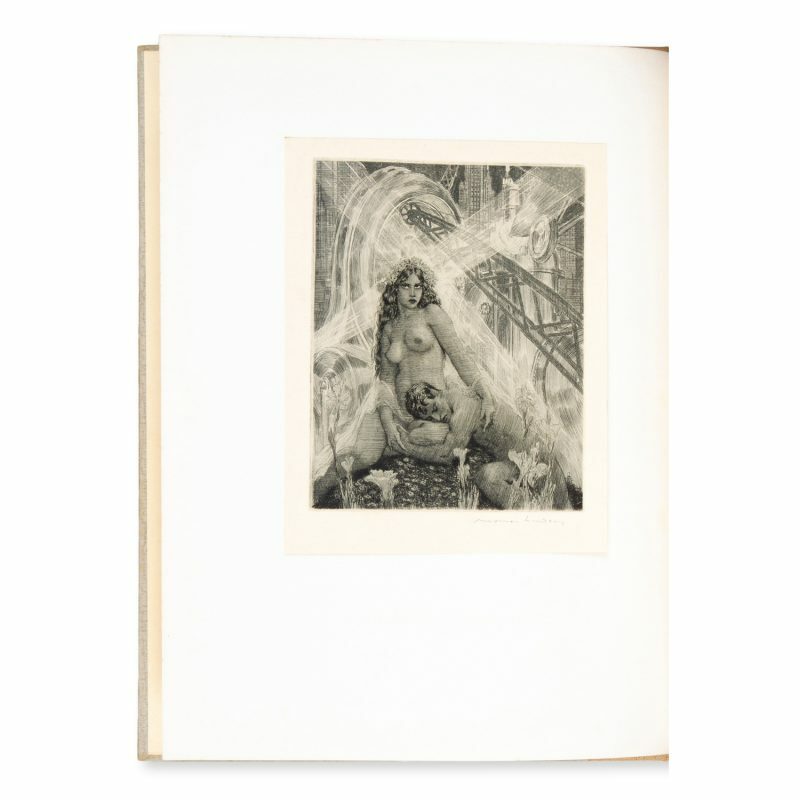 With an original etching and 13 illustrations by Norman Lindsay. 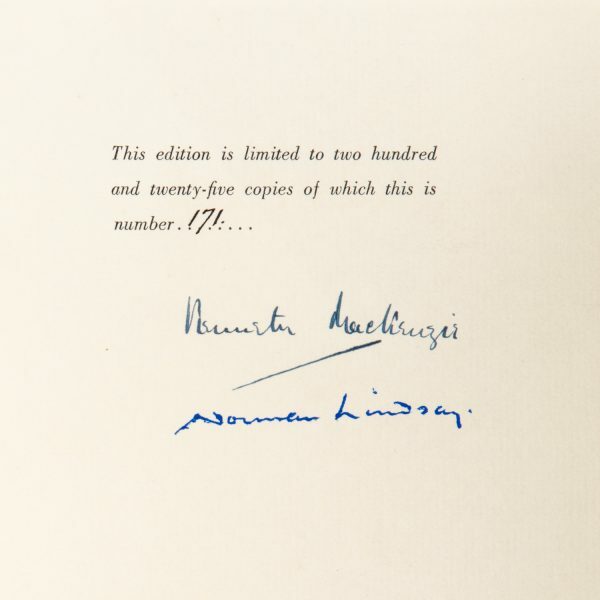 Sydney : Angus & Robertson, 1937. 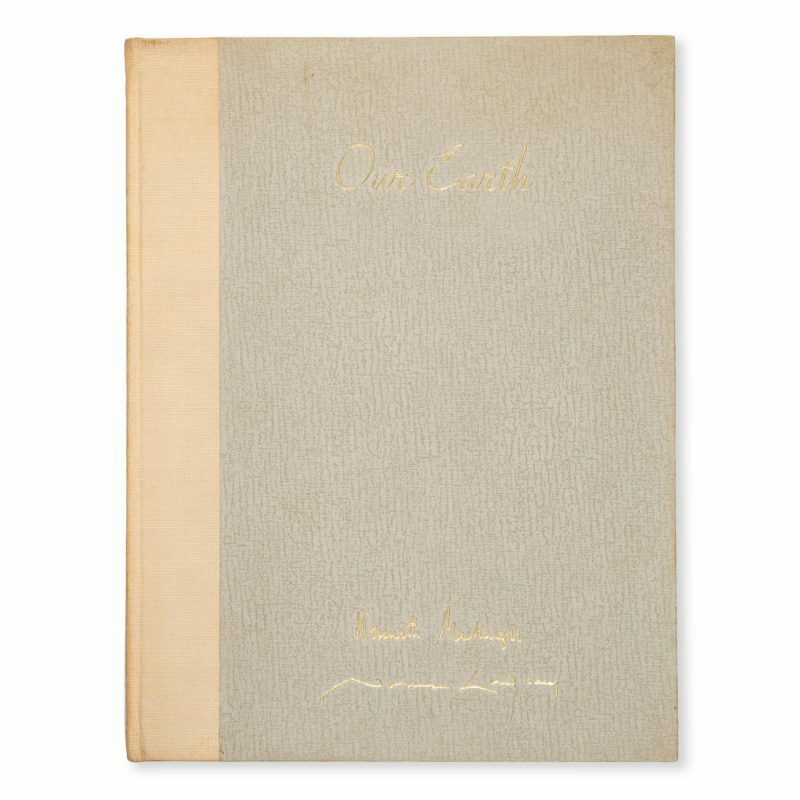 Quarto, quarter cloth over gilt-lettered textured boards, 60 pp, tipped-in illustrations and vignettes by Lindsay. 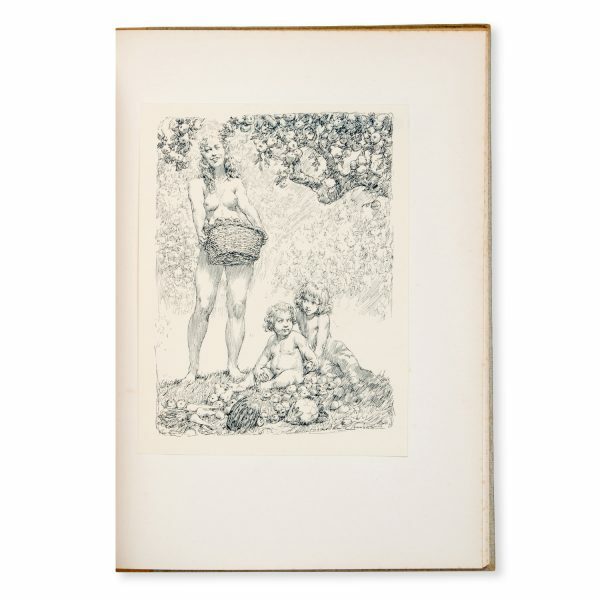 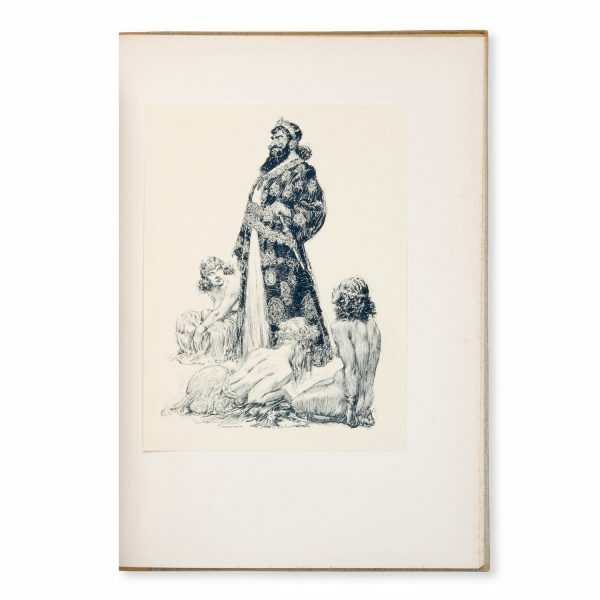 The frontispiece is an original etching by Norman Lindsay, signed. 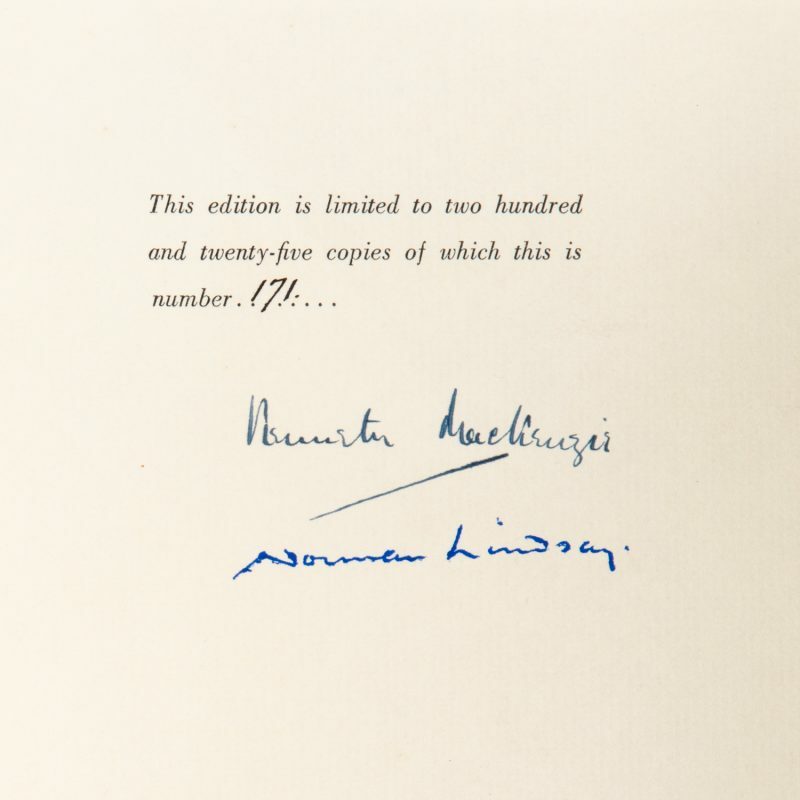 Limited to 225 copies signed and numbered by Mackenzie.